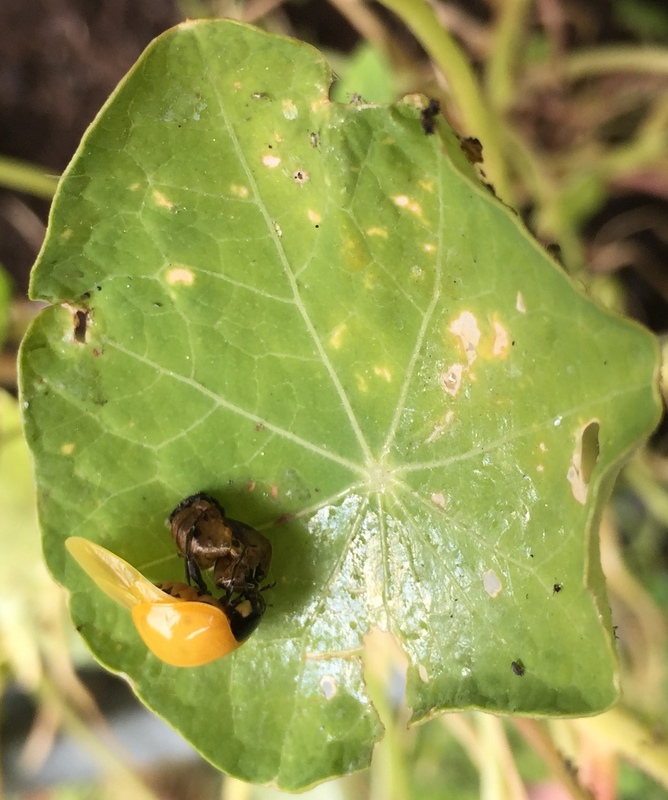 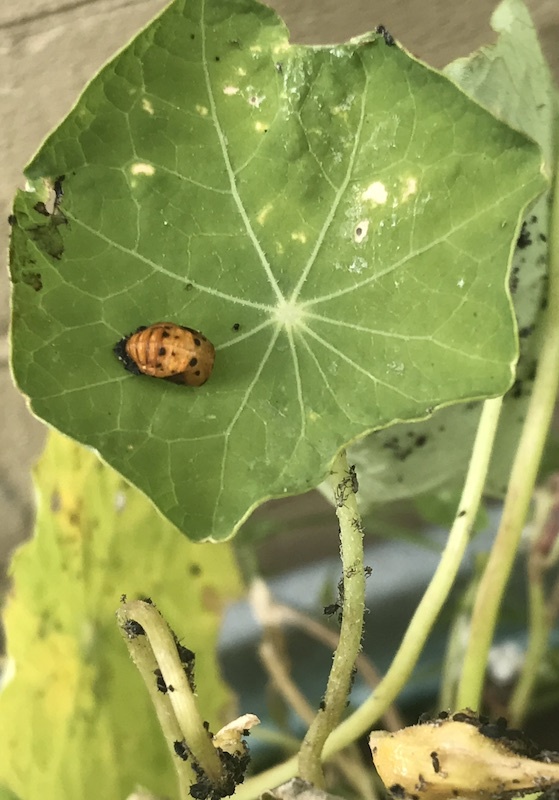 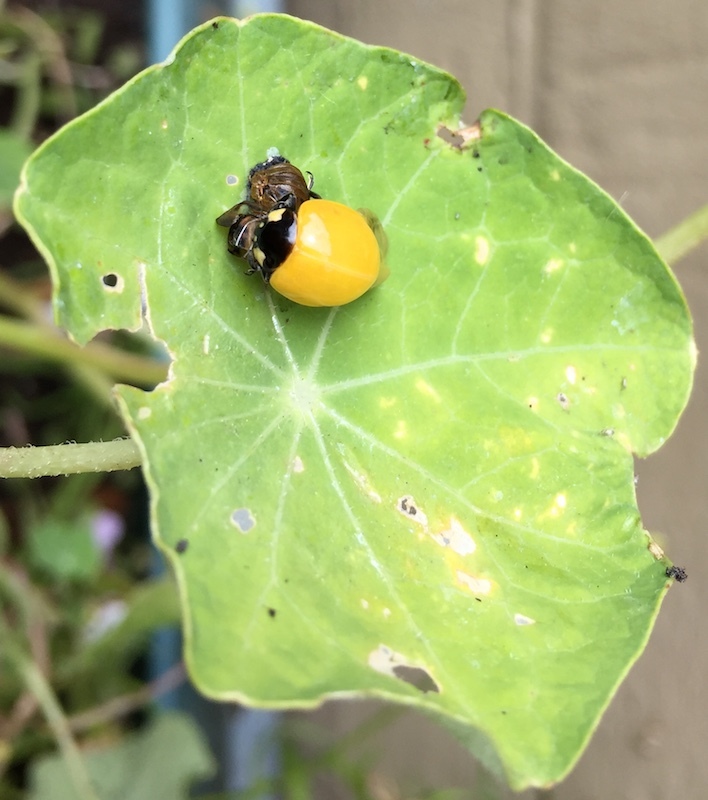 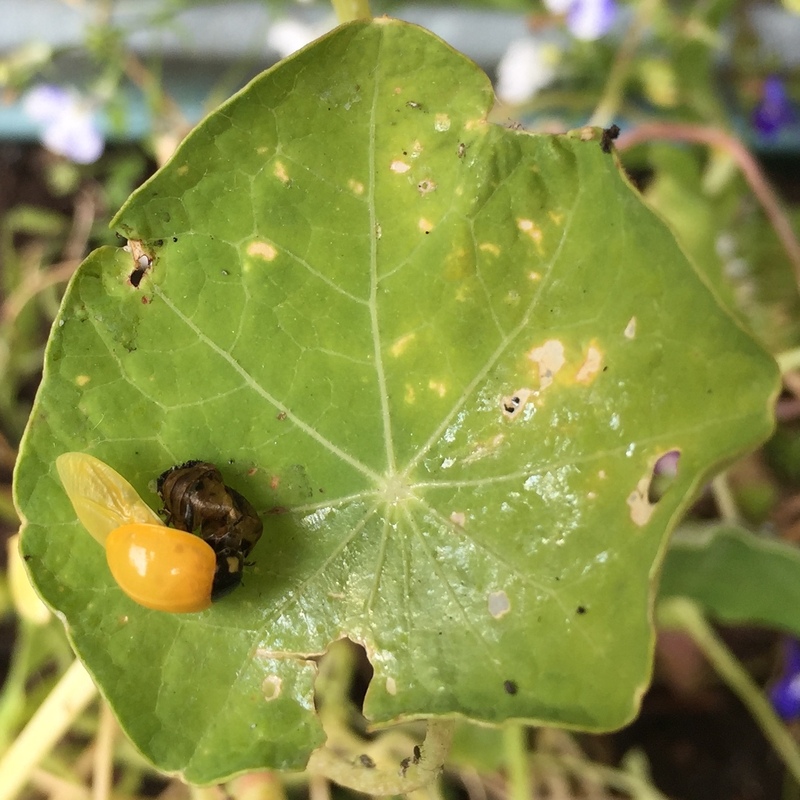 The picture below is of the fourth instar… these were devouring blackfly on nasturtiums… ladybirds are great aphid consumers! 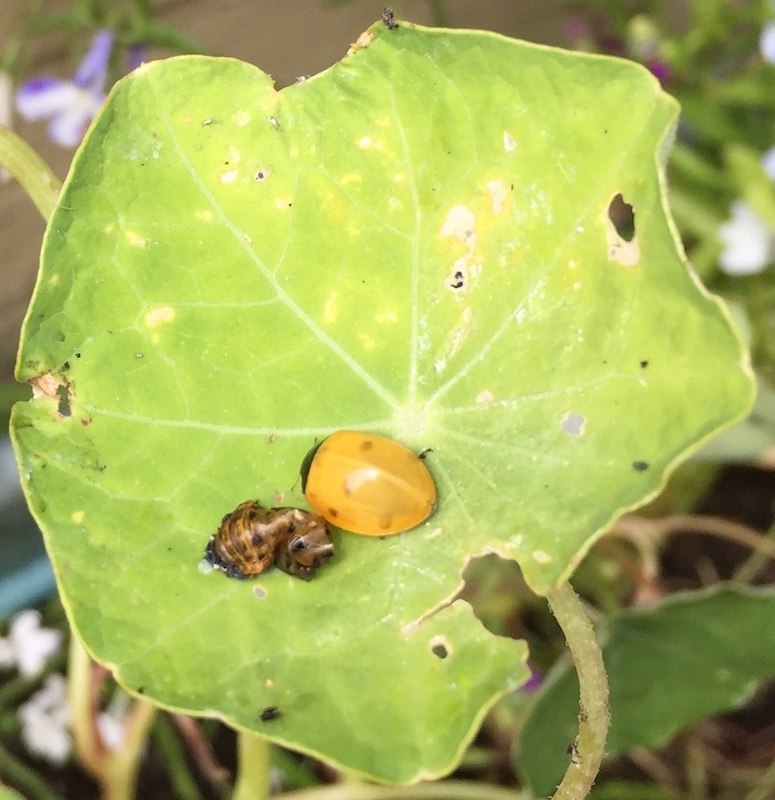 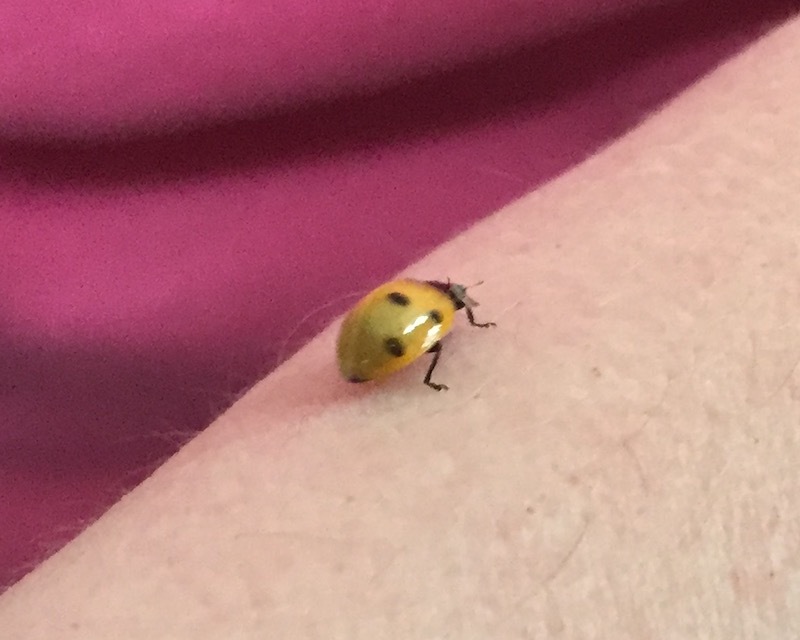 A few days later the adult ladybird emerges… although at first one would wonder if it was the same species? 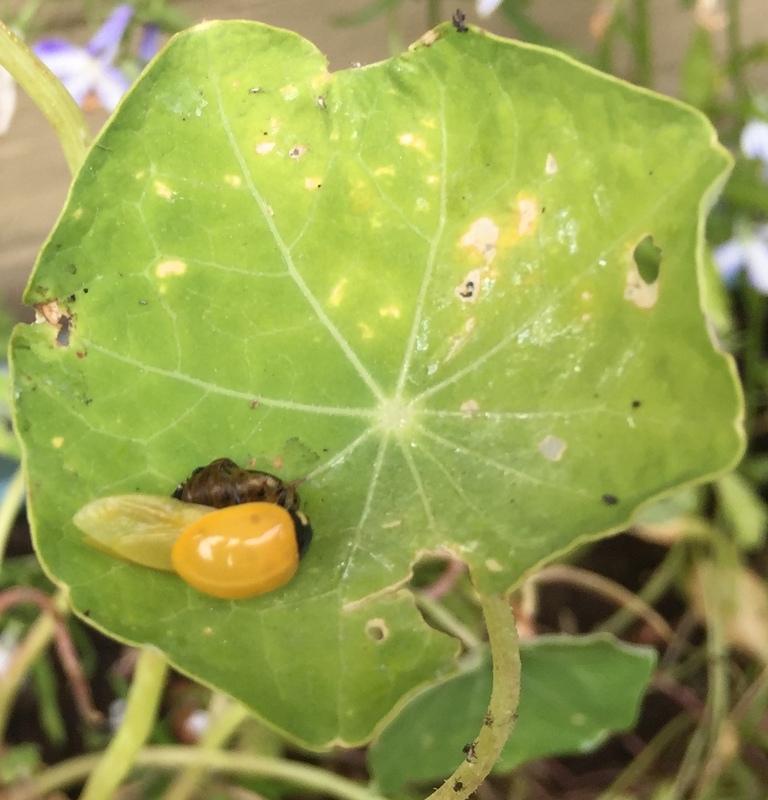 Seeming to be eating the pupae case, in fact it was just freeing itself from the remaining shell. 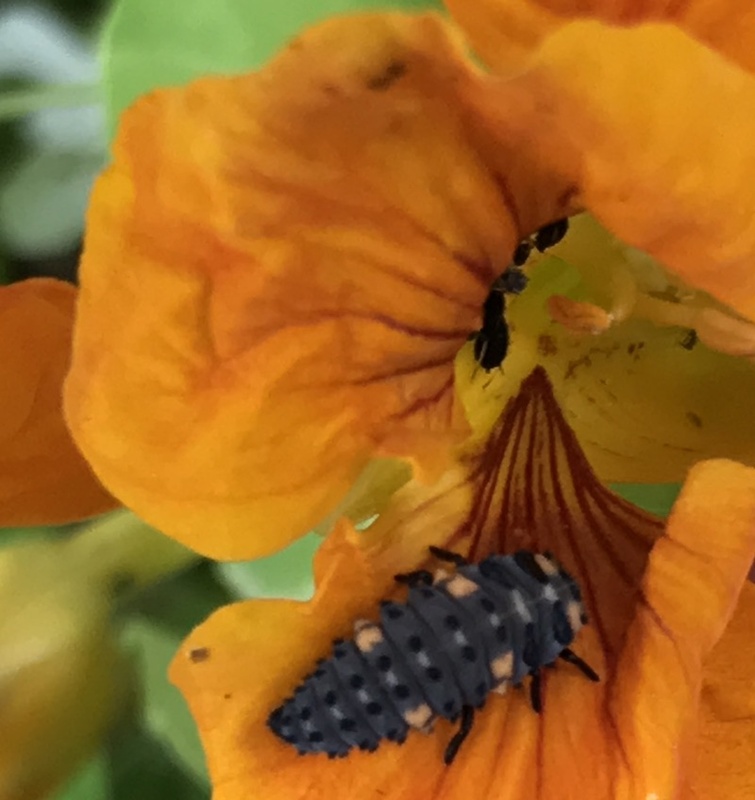 …a matter of minutes later its on the move and the colours are almost established with the spots darkening as the wing cases change to deeper orange.